The Iceland Symphony Orchestra is on tour in Japan. This is the first time that the orchestra performs in Asia. The tour consists of concerts in all the major cities, including Tokyo, Osaka, Sapporo, and Hamamatsu, and most of the concerts are already sold out. 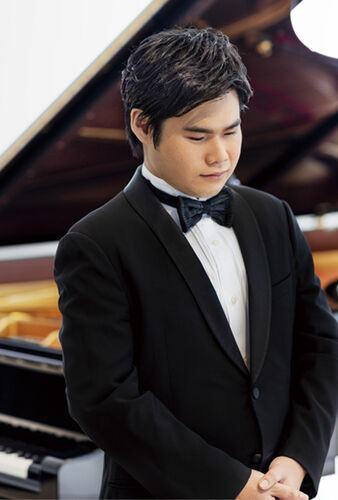 The conductor is Vladimir Ashkenazy, the Iceland Symphony's Conductor Laureate, and the soloist is the Japanese piano star Nobuyuki Tsujii. The entertainment company Avex Group produces the orchestra's concert tour in Japan. The programme consists of Gletscherlied by Þorkell Sigurbjörnsson, Piano Concertos no. 2 by Chopin and Rachmaninoff, and Symphonies no. 2 by Sibelius and Rachmaninoff. Vladimir Ashkenazy holds the position of Conductor Laureate with the Iceland Symphony Orchestra and has conducted the orchestra regularly since the early 1970s. In the years since Vladimir Ashkenazy first came to prominence on the world stage in the 1955 Chopin Competition in Warsaw he has built an extraordinary career, not only as one of the most renowned and revered pianists of our times, but as an artist whose creative life encompasses a vast range of activities and continues to offer inspiration to music-lovers across the world. 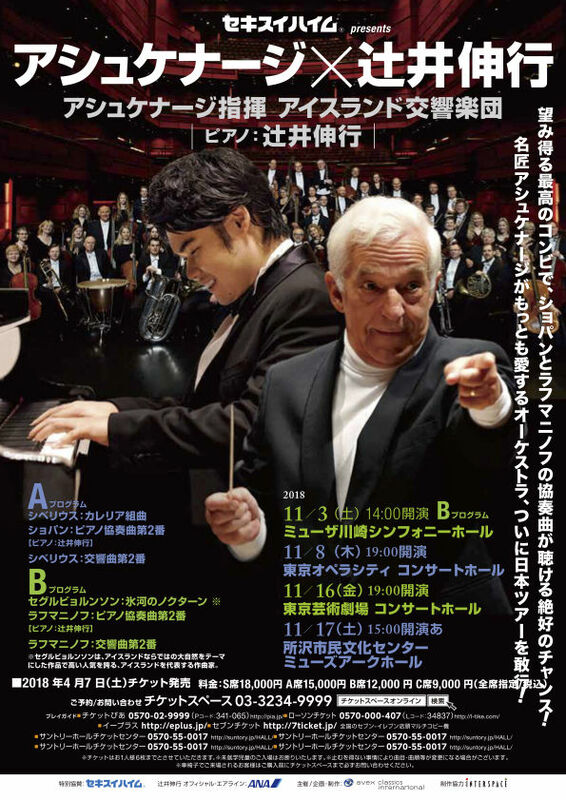 Conducting has formed the largest part of his activities for the past 20 years and, following on from his period as Chief Conductor of the Czech Philharmonic 1998-2003, Ashkenazy took up the position of Music Director of NHK Symphony Orchestra in Tokyo in 2004. In Autumn 2005 he completed his second highly successful European tour with them. Their regular work in Tokyo has included several television broadcasts and special programmes, such as a commemoration in Spring 2006 of Toru Takemitsu, a composer whom Ashkenazy greatly admires. After a short visit to Seoul in June 2006 they undertook a major tour of the United States including Walt Disney Hall in Los Angeles, San Francisco, Philadelphia, Boston and Carnegie Hall in New York. 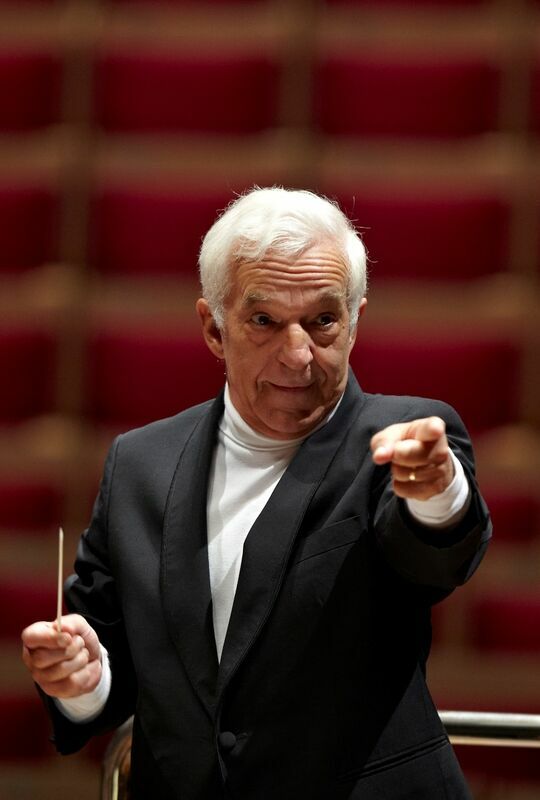 Ashkenazy also holds the positions of Music Director of the European Union Youth Orchestra, with whom he tours each year, and Conductor Laureate of the Iceland Symphony Orchestra. He maintains strong links with a number of other major orchestras with whom he has built special relationships over the years, including the Cleveland Orchestra, San Francisco Symphony and Deutsches Symphonie Orchester Berlin as well as making guest appearances with many other major orchestras around the world. Nobu has appeared with many of the world's leading orchestras, with conductors including Vladimir Ashkenazy who has been among his most devoted supporters. A DVD of Nobu's Carnegie Hall debut in 2012 was named DVD of the month by Gramophone magazine, and he has recorded many bestselling CDs for Avex Classics. 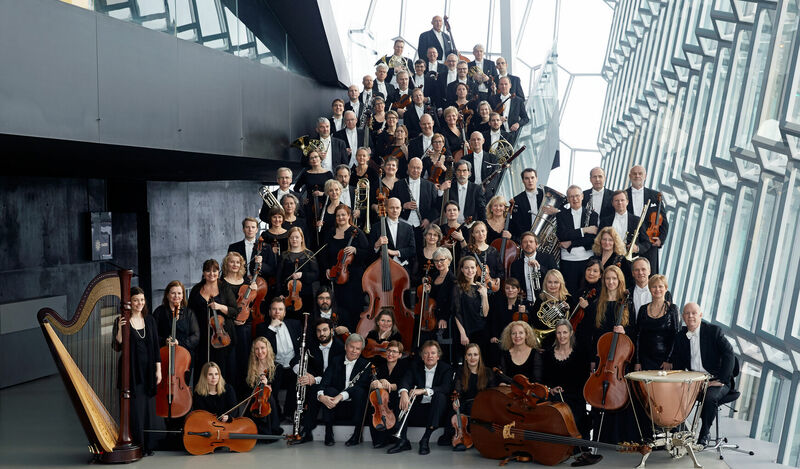 The Iceland Symphony will perform two different programmes while on tour in Japan. The first programme consists of Gletscherlied by the Icelandic composer Þorkell Sigurbjörnsson, Rachmaninoff's Piano Concerto no. 2 and Symphony no. 2. The alternative programme features Karelia Suite by Jean Sibelius, Rachmaninoff's Piano Concerto no. 2 and Jean Sibelius' Symphony no. 2.